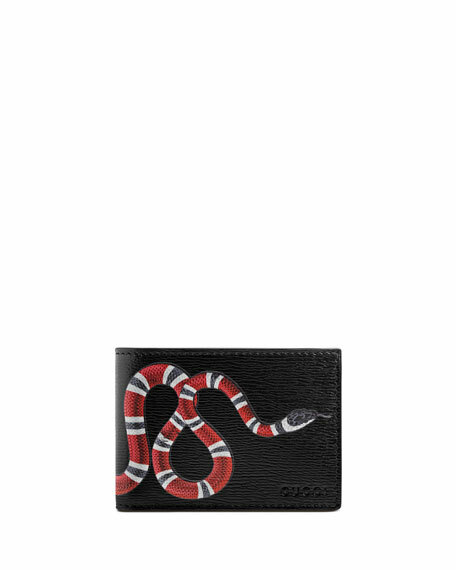 The kingsnake, thought to symbolize wisdom and power, emerges as one of the signature details of Alessandro Michele's collections. 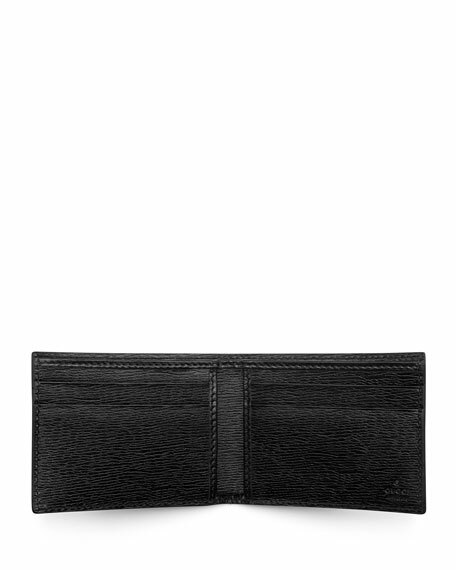 Here, it is printed across the bi-fold wallet made in black leather. 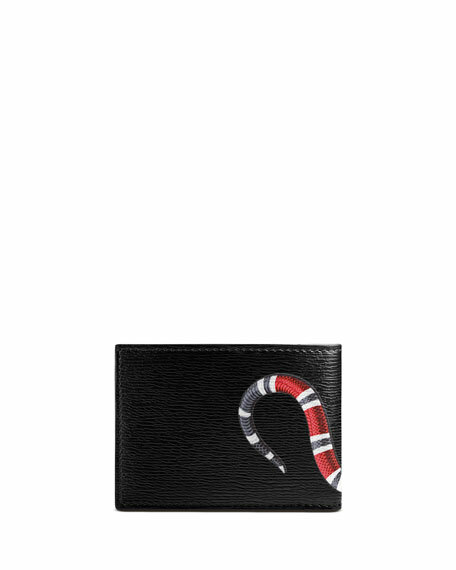 Black leather with snake print. Four card slots and one bill compartments. Closed: 3"H x 4.2"W x 0.5"D.
For in-store inquiries, use sku #1956353.